Last week on Called to Coach, we featured Nicole Sedlacek, Executive Director of Holt County (Nebraska) Economic Development. Nicole began her work with strengths as a guide during the pilot of Gallup’s Entrepreneur Acceleration System (EAS) in 2012. The system was designed to help small to medium-sized businesses take a strengths-based approach to business development and economic growth. Nicole’s job responsibilities require her to constantly think of ways to help create new jobs, while keeping retention rates high in Holt County. By adopting a strengths-based approach, Nicole has helped provide business owners and managers with the tools to better develop their employees’ strengths, fit them in the right roles, and achieve maximum output. Providing a great example of strengths in action, Nicole described a scenario where a client was asked, “What are your strengths?” in a job interview. While this question often causes people to stumble, this individual answered it in stride, talking specifically about how her high Relator theme could benefit the company. She eventually received a job offer, and is now putting her strengths to work. As part of Nebraska’s economic development, Nicole works closely with entrepreneurs, helping them maximize their strengths within their business roles. However, not all entrepreneurs welcome a strengths-based approach to running their businesses. When she experiences pushback, Nicole coaches them on how to fit their strengths into their business plan and on what kinds of partnerships would be most beneficial. To hear more about Nicole and her coaching experience, watch the full video above. Visit the Entrepreneurial StrengthsFinder page for more information about how people discover their innate talents for starting and growing businesses. Register now for the next Called to Coach on Friday, May 16, at 1 p.m. EDT. Join us for Theme Thursday tomorrow, May 8, at 1 p.m. EDT. Register today to hear Gallup’s Curt Liesveld and Dr. Brian Brim discuss the Relator theme. 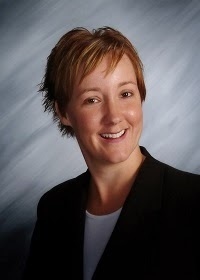 Nicole is the Executive Director of Holt County (Nebraska) Economic Development. She currently resides in O’Neill, Nebraska, where she helps entrepreneurs and business leaders create jobs and gain local economic momentum through strengths-based development.